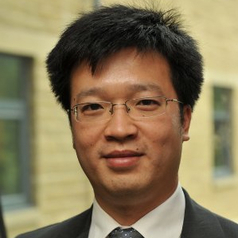 Qing joined Huddersfield Business School as a lecturer in marketing at the end of September 2013. He was awarded his PhD by De Montfort University in July 2013. His thesis examines the effects of country of origin, consumer ethnocentrism and consumer animosity on urban adult Chinese consumers' product preference and willingness to buy. Qing’s other research interests are market entry strategies, consumer perceptions and brands in emerging economies. Alongside his PhD research, he has gained considerable teaching experience, including a number of undergraduate and postgraduate modules. Qing also carried out a number of consultancy projects in the past few years, these including conducting a China market entry report for a small German car manufacturer and advising a Leicestershire based sportswear company’s market entry strategies to mainland China.